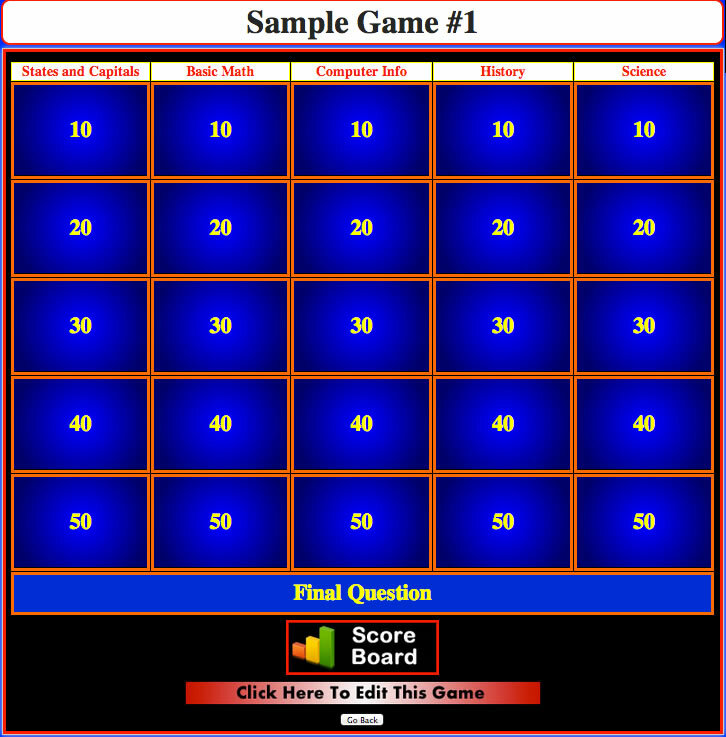 Our Jeopardy stlye review game is designed to be as simple as possible to get up and running for group play. 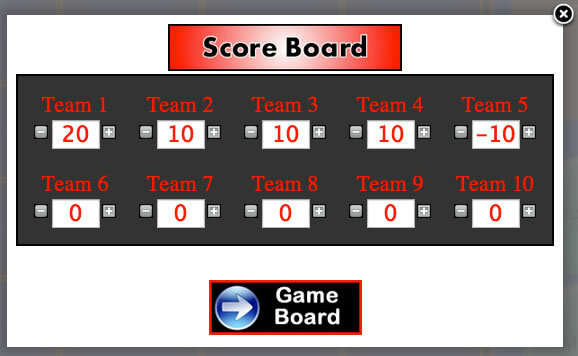 Games are displayed with Category names and point values. Clicking on a square will reveal the question for that square. After teams have had a change to answer, click View Answer to reveal the answer. 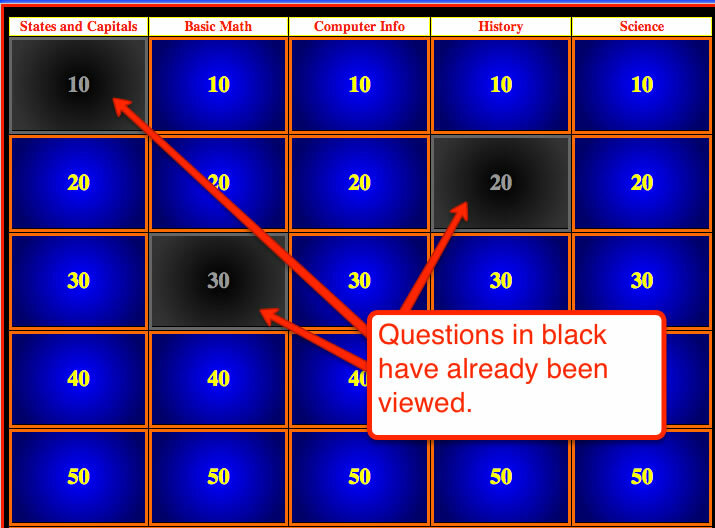 During play, you can tell by the darkened squares which questions have already been viewed. They are still clickable. When all questions have been answered (or time is almost up), click the Final Question button to wrap up. 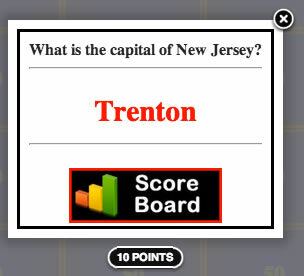 Each team can then decide how much to wager on the final question. 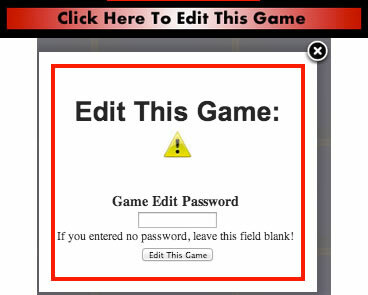 If this is your game, you can edit by clicking the Click Here To Edit This Game link at the bottom of the game board.